Jim passed peacefully in the morning of Thursday February 21st just a few hours after listening to a basketball game with his son Jay and hearing his family’s loving chuckles in response to wife Cari’s story telling. Prior to his passing, Jim spent several days at Virginia Mason Medical Center in Seattle where he received exceptional care by all the staff. Jim was born in Charlo, MT and spent his childhood on the family ranch ran by his parents, Dorothy and Wes Adamson. After high school, with his intent to fish in Alaska but his age too young, Jim headed to college at Montana State College (now Montana State University) earning a Bachelor’s degree in Fish and Wildlife and meeting his future wife Carolee (Cari). They wed shortly after graduation and moved to Seattle where Jim’s career with the Food and Drug Administration had begun. After 30 years with the FDA and moving from Seattle to Wash DC to Kansas City, Jim and Cari embarked on their long and well-earned retirement. They travelled the U.S. in an RV, stacking up adventures and friends along the way. Returning to the Seattle area, they invested in Seattle real estate including building and remodeling with son Jay’s expertise and much of their own sweat equity. A decade of winters was spent in Laughlin NV where Jim honed his gambling skills. The rest of the year they settled on Camano Island, WA where they spent 23 years enjoying boating, crabbing, clam digging, salmon bbq’s, hosting Thanksgiving family dinners, heading up Island fund raisers and enjoying the beauty of Skagit Valley. Due to his health needs, Jim and Cari moved back to West Seattle where they enjoyed living in a custom home built by son Jay. 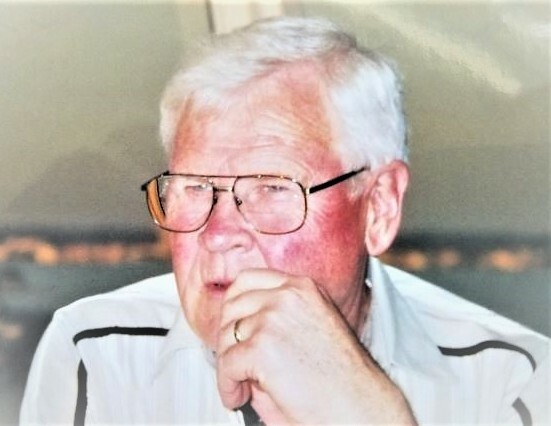 With the immediate family nearby, Jim joined in family dinners, card games, casino trips, multitudes of sports viewings, and the enjoyment of his friends. For his 85th birthday, the family flew to Laughlin NV to celebrate and reminisce about their “desert time”. Jim was fully involved husband and family man, an inspirational father and mentor, a loyal and involved friend and community member. Although not always a man of many words, the words he used were straightforward and mindful. He greeted everyone with a strong handshake, even from his hospital bed where his body was failing. The friendships Jim cherished from Camano Island to Seattle to Montana and many parts of the US are too numerous to mention. Jim is survived by his wife Carolee (Cari), son Jay Adamson, daughter Karni Adamson and her partner Ernie Escobedo, sister Joy Rogers, brother-in-law John Redman (Doris), sisters-in-law Judy Hauk (Larry), Lillian Adamson, Chris Holtzen, nieces Terri Osterberg, Sandi Meyer, Lisa Rayson, Lynette Trowbridge, Lonnie Morin, Hope Conley, Joy Holiday, Rebecca Pearson, Kwin Redman, Jamie Redman, Lessie Sites, Lora Brown and nephews Don Adamson, Ron Adamson, Guy Rogers, Jon Rogers, Ken Redman, Ryan Adamson, Kermit Adamson, Mike Hauk, Kelly Hauk. In lieu of flowers, please donate to the Cystic Fibrosis Foundation. 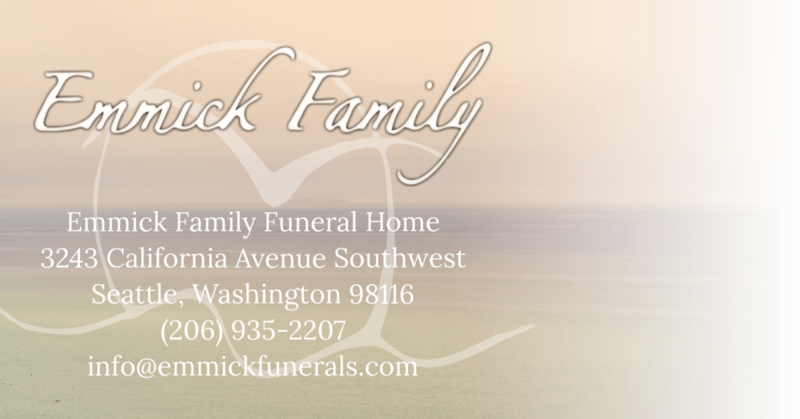 Funeral arrangements entrusted to Emmick Family Funeral Home. Share your fond memories of Jim with his family & friends by signing his Online Memorial Guestbook, above.